﻿I hope you enjoy these delicious Weight Loss Recipes that are quick and easy to make. Season pork chops with rosemary, salt and pepper. serving platter and cover to keep warm. Add shallots to the pan; sauté until shallots are soft. Add broth and orange juice, scraping to remove any browned bits from the bottom of the pan. Boil until liquid is reduced by half, about 3 minutes. Pour over pork chops and serve garnished with extra rosemary. In a fry pan, brown the ground beef and onion; drain well. Stir in mushrooms, soup and water. Cover and simmer for 15-20 minutes. Stir in sour cream; heat through, but do not boil. Serve over noodles or rice. Grease large casserole dish. Season chicken breasts with salt, pepper and garlic. Place flat in casserole dish. Bake for 20 minutes turning once. Pour spaghetti sauce over chicken and sprinkle generously with mozzarella cheese. Bake until bubbly and cheese has melted. Prepare noodles according to directions and serve chicken and sauce over noodles. Top with grated parmesan cheese. Preheat oven to 400°. Brush chicken with oil and sprinkle with Jerk Seasoning. Place in a shallow roasting pan and bake 30 minutes or until cooked thoroughly. Sprinkle with lime juice and serve hot. Bring a large pot of lightly salted water to a boil. Add pasta and cook for 8 to 10 minutes or until al dente; drain. Return pasta to pot with chicken, soup, garlic salt and pepper over medium heat. Heat through, 5 minutes. Precook potatoes in microwave or boil until slightly tender. Spray a large skillet with non-stick cooking spray. Over medium heat, brown onions and potatoes. Add remaining ingredients and simmer just until sauce thickens. Heat oven to 450 degrees. Dip fish in egg; coat with combined cheese, crumbs and pepper. Place in greased shallow baking dish. Bake 5 to 10 minutes or until fish flakes easily with fork. Makes 6servings. Variation: Substitute boneless skinless chicken breast halves for fish. Decrease oven temperature to 400 degrees F. Bake 15 to 20 minutes or until chicken is cooked through. In a medium, saucepan prepare enchilada sauce mix as directed on the package. In a large fry pan, brown the ground beef and onion. Drain excess fat. Stir 1/2 cup enchilada sauce into the meat mixture. To assemble, dip each tortilla into the sauce. Spoon about 2 tbl. Meat mixture and 1 tablespoon cheese down the center of each tortilla. Roll into thirds and place seam side down in a 9 by 13 inch baking dish. When all the tortillas are assembled, pour the remaining sauce over the top. Sprinkle with olives and extra cheese. Cover with foil; bake for 20 minutes until heated through and the cheese is melted. Heat oil over medium-high heat in a large, non- stick skillet or wok. Add green onions, celery, bell pepper, garlic, ginger and red pepper flakes and sauté until tender-crisp (about 5 minutes). Pour in egg substitute; cook, stirring occasionally, until mixture is set (about 3 minutes). Stir in rice, chicken, soy sauce and stevia; cook until heated thoroughly. Serve hot. Pound chicken breasts between 2 pieces of plastic wrap or waxed paperto about 1⁄4-inch thickness; set aside. In a shallow dish combine cornmeal, chili powder, cumin, salt and pepper. Dip chicken breasts in beaten egg, then into cornmeal mixture. Heat oil in a large, nonstick skillet over medium-high heat. Add chicken and cook on both sides until golden and no longer pink inside, about 10 minutes total. Stew chicken, remove from bone and cut in 1 inch pieces. Return to kettle and add tomato soup, tomatoes, onion, lima beans, potatoes and seasonings. Cook until vegetables are tender. Add corn and butter. Cook 5 minutes. If desired, thicken with flour mixed with cold water. 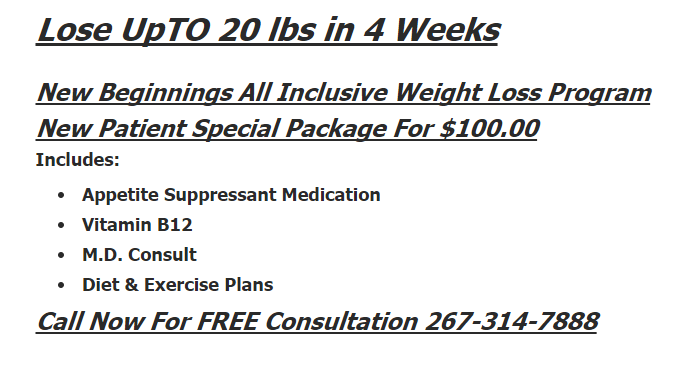 If you need help achieving your weight loss goals please call us at 267-314-7888.